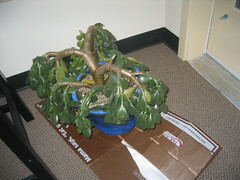 People, I think I killed my Jade plant. And it had just flowered! I didn't even think about bringing it in from the freezing cold. 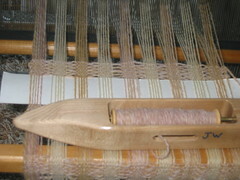 In celebration of the cold I started weaving a new scraf to be felted from handspun and clun forest local yarn.